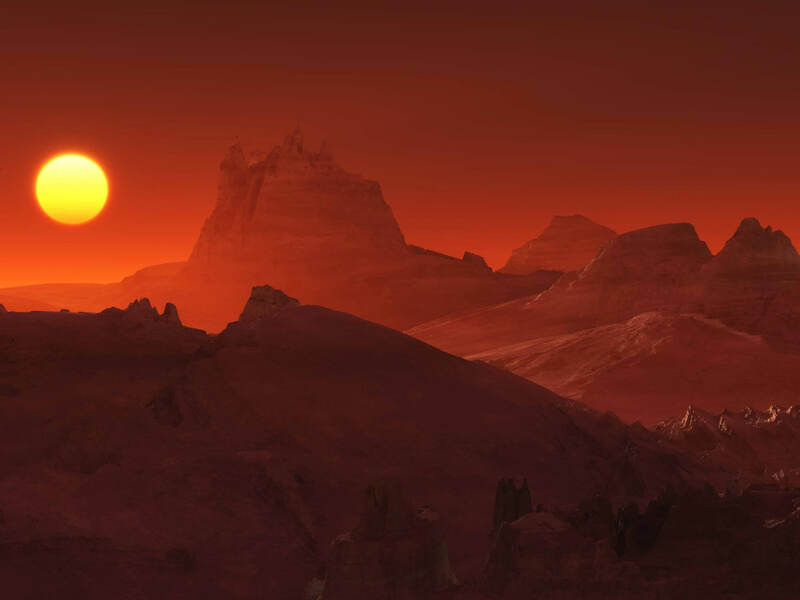 Home » NASA conference: Will NASA announce alien life discovery on Mars TODAY? NASA’S leading space boffins are gathering today to break the silence on two major Mars discoveries unearthed by the Curiosity Rover. An expert UFO hunter has now told Express.co.uk NASA could have found evidence of life on Mars. The much anticipated press conference is scheduled to go live today in the US at 7pm UK time (2pm EDT). Very little is known about the details of the conference and NASA’s findings are under strict embargo until the event. But popular UFO hunter Joe White has told Express.co.uk ahead of the conference NASA could be preparing to drop an alien life bombshell. Mr White claimed the US space agency may have come across evidence of microbial organisms below the dusty surface of the Red Planet. But the extraterrestrial truther said he doubts NASA will reveal the full scope of what he believes is hidden away on Mars. Mr White said: “I would imagine NASA might announce evidence for microbes from some of the recent drill samples that were taken by the Curiosity rover. On his UFO YouTube channel, ArtAlienTV, Mr White combs through hundreds of photographs taken by NASA’s various Martian rovers. In his most recent rover discovery, the UFO hunter said he has come across what he thinks could be an ancient alien crime scene. Mr White now claims NASA is not ready to admit to what he has been trying to expose for years. He said: “NASA won’t admit previous intelligent life, especially if we are going to colonise Mars in the near future as is now being proposed. “There would be serious contamination issues that might put a rather large spanner in the works. “So it would be a lot more convenient if everything is dead on the surface at least. Click here to read about everything we know so far about the NASA announcement. NASA’s press conference will broadcast across the internet today and you can watch it live here on Express.co.uk. The event will be chaired by Michelle Thaller, NASA’s assistant director of science for communications. The event will also host a raft of panellists: “Ashwin Vasavada, Mars Science Laboratory project scientist, Chris Webster, from NASA’s Pasadena-based Jet Propulsion Laboratory (JPL), Paul Mahaffy, director of the Solar System Exploration Division at NASA’s Goddard Space Flight Center and Jen Eigenbrode, research scientist at Goddard. NASA’s conference will also stream live on Facebook Live, Twitch TV, Periscope, UStream and NASA Television.